Tumors arising from the pancreatic islet cells are rare and represent a heterogeneous group of benign or malignant lesions. Most tumors present with well characterized syndromes, whereas others appear to be nonfunctioning. The clinical features of 11 men and 7 women with nonfunctioning islet cell carcinomas operated on between 1983 and 1998 were reviewed. The median patient age was 53.5 years (range 26–74 years). The most frequent presenting symptoms were abdominal pain (13 patients), weight loss (7 patients), and obstructive jaundice (4 patients). Gut hormone profiles were normal in all patients. Abdominal sonography and computed tomography localized the tumor in 17 patients, and correct prediction of an endocrine tumor was achieved in 12 patients. Six of seven patients showed a hypervascular tumor upon angiograpy, and seven of eight patients preoperatively had positive somatostatin receptor scintigraphy. At operation, regional or distant metastases were present in 15 (83%) and 6 (33%) patients, respectively. 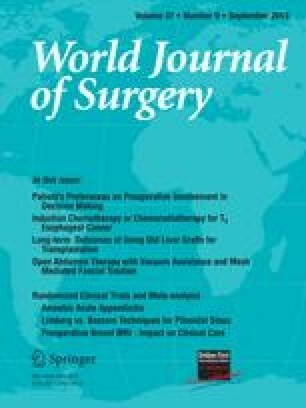 Eleven patients underwent potentially curative resections, and the remaining seven patients were managed palliatively by resection (four patients) or bypass procedures (three patients). Three patients had up to three more resection for metastases. Eight patients received postoperative octreotide, interferon α therapy, or both. The overall cumulative 5- and 10-year survival rates were 65.4% and 49.1%, respectively. Of the 11 patients who underwent curative resection, 10 were alive after a median follow-up of 63 months (range 7–180 months), but only 5 are free from disease. Although surgical cure is rare in nonfunctioning islet cell carcinomas, significant long-term palliation can be achieved in a large proportion of patients with an aggressive surgical approach and, when indicated, additional medical therapy.